Sandy Cove Apartments at The Entrance is a 8 storey apartment complex that offers luxury apartment style accommodation on the NSW Central Coast. The Entrance is one of the largest and most vibrant tourist regions on the Central Coast and is situated midway between Sydney and Newcastle between the vast waterways of Tuggerah Lakes and the Pacific Ocean. Located just 2 minutes walk from the town centre and 1 minute walk from the beach, our self contained apartments are designed specifically for the holiday makers seeking short or long term accommodation and is suitable for families and great for romantic weekends away. Our recently constructed property, with on-site managers, is set amid delightful landscaped gardens and each apartment offers an outdoor balcony, many with glorious ocean views and or lake views, all with a cool sea breeze. We also offer a heated swimming pool and spa, gymnasium, sauna and amenities. Each of our well appointed apartments have been tastefully designed with furnishing and décor of the highest quality and standard. Our 1, 2 and 3 bedroom apartments are in keeping with today’s modern comforts and are fully self contained. Contact us today and let our friendly staff assist you with your accommodation at The Entrance. The Waldorf Apartment Hotel at The Entrance is a new resort complex located on the Central Coast of NSW at The Entrance. The resort complex consists of 130 beautifully appointed one and two bedroom, fully self-contained, hotel and residential apartments. The marine environment compliments The Entrance Waterfront and its tourist attractions. 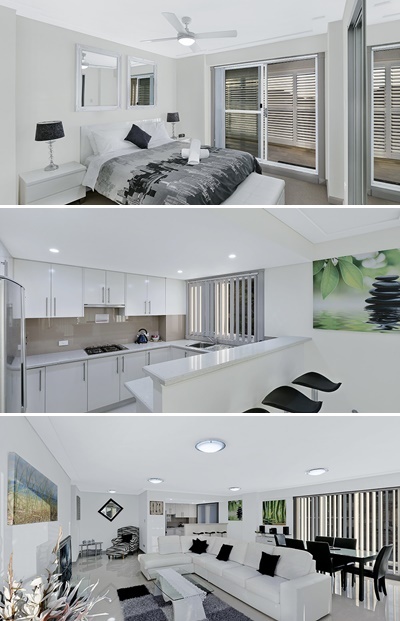 The Waldorf Apartments are ideally located in The Entrance Town Centre and situated adjacent to the world famous Entrance Channel, positioned between the Pacific Ocean and the spectacular Tuggerah Lake. 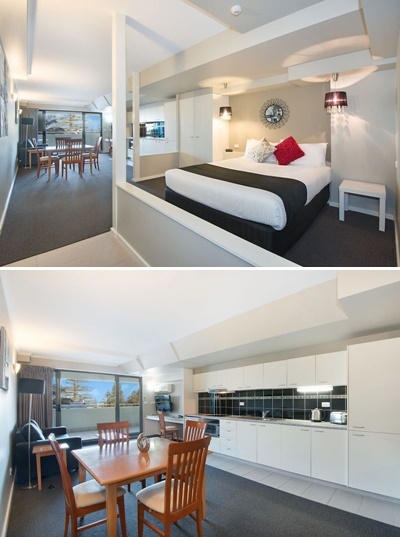 Our apartments are the perfect choice for daily, medium and long term apartment hotel or residential apartment style accommodation and offer all the services and facilities provided by a hotel but with the added convenience and space of fully self contained apartments. Whether you are traveling for business or leisure purposes, the Waldorf Apartment Hotel at The Entrance will cater for all your needs.